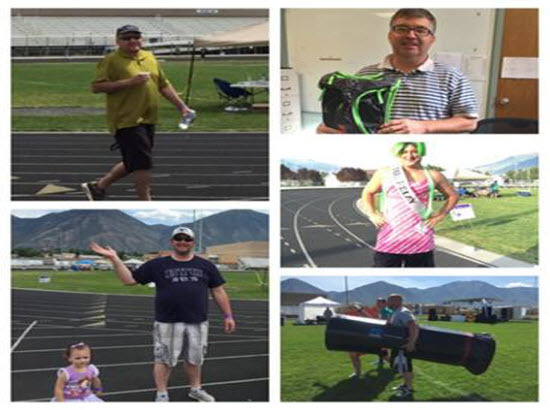 McWane Ductile Utah | McWane, Inc.
We are pleased to announce that the McWane Ductile Utah bowling team of Richard Binks, Kelly Evans, Joe Carter, former employee Rudy Brailsford and David Vazquez were named the 2017-2018 city league champions. This team is great both on and off the job. Congratulations! Celebration was the theme of the day at Amerex yesterday. They held a VPP flag raising and luncheon catered by Jim N Nicks BBQ for the entire Amerex team to celebrate achieving OSHA VPP Star status. The process to become a member of VPP takes years and cannot be done without the commitment of every single team member. McWane president Ruffner Page and OSHA Area Director Ramona Morris congratulated the team on their hard work and dedication to maintaining a safe workplace. McWane is proud to now have seven facilities that have achieved VPP status. Amerex joins McWane Ductile Utah, McWane Ductile Ohio, McWane Ductile New Jersey, Tyler Coupling, Clow Valve and Manchester Tank Elkhart as McWane VPP sites. Christine Michaelidis, Sales Rep for McWane Ductile-Utah recently presented this framed copy of the Fall 2017 feature article from Modern McWane to Bert Weiss, Operations and Maintenance Manager, for the City of Hayward, California. Mr. Weiss (pictured left) actually wrote the article detailing the City’s efforts to replace an aging 30” AC transmission main with a new 30” ductile iron line supplied by McWane Ductile and sold through Ferguson Waterworks. Scott Silverthorn (pictured right) with Ferguson was instrumental in coordinating this project between McWane Ductile and the City of Hayward. Due to the strength and durability of the material, the relative ease in which the pipe could be assembled, and the long term resiliency it will provide in an earthquake prone area, ductile iron pipe was without question the material of choice for the City of Hayward, and we thank Bert for sharing his story with us. We are proud to announce that McWane Ductile Utah (MDU) received the 2017 Award of Merit presented by the Utah Safety Council. The Utah Safety Council is a chapter of the National Safety Council and serves Utah, Idaho and Nevada. 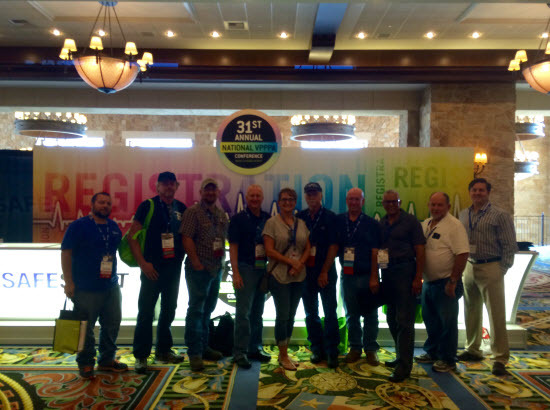 The American Foundry Society (AFS) held its 27th annual Environmental, Health and Safety Conference on August 11–13, 2015 in Park City, Utah. The conference was heavily attended by both safety and environmental representatives from multiple McWane facilities as well other foundries from across the United States. McWane played a big role in the conference by providing several speakers (Mike Parker, Ward Pate, and Jeet Radia) and the conference co-chair (Holly Guerrero) from among the McWane safety and environmental ranks. 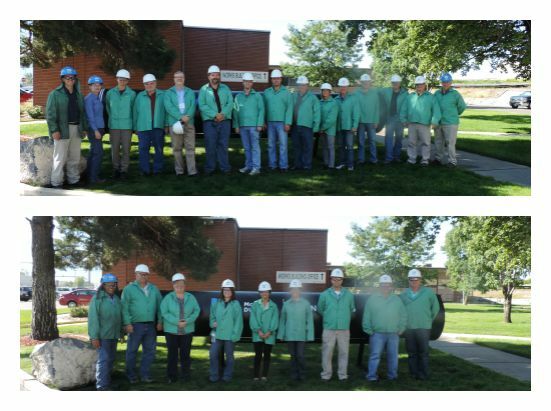 Also, as part of the conference, our nearby foundry, McWane Ductile–Utah, opened its doors to over forty attendees for a plant tour.